Nicole and I are going to tag team coverage for The War on Drugs with Land of Talk at Stubb’s plus bonus coverage of King Gizzard and the Lizard Wizard at Mohawk. NB: Saturday night was another one for the books as Austin was lit up as ever with great bands and crazy antics on Red River. 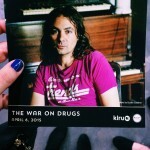 My main event was at Stubb’s for The War on Drugs, touring incredible latest album, A Deeper Understanding. B. Gray was on double duty–taking killer shots of The War on Drugs and then bouncing over to The Mohawk to catch King Gizzard and the Wizard Lizard. Follow the jump to see his pretty pics and read some brief thoughts on a night at the gravel pit. On the off chance you have been living under a rock and somehow missed that The War On Drugs have a new album coming up, I wanted to share with you another single fromA Deeper Understanding. “Pain,” is both classic War On Drugs and a glimpse at another side of the band that I expect we’ll see even more of on this new album. The track is highly emotive– the americana piano and strumming acoustic guitar gives this nostalgic, wistful sort of feeling of missing something. 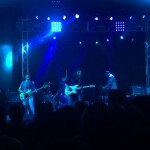 Of course, the band builds to their signature cathartic swell with buzzing guitars. It’s truly a treat. A Deeper Understanding will be out quite soon on August 25 viaAtlantic Records. Last year’s Lost In The Dream took The War On Drugs’ claim to fame to a whole new level, landing them atop most year end lists as well as a longtime spot in my personal listening catalogue. 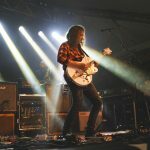 So naturally the folks over at ACL TV wanted to catch Adam Granduciel and company at the height of their musical career so far and get them on for a taping, which resulted in a short night of tunes mostly from that newest album. Read on for more thoughts on the night. 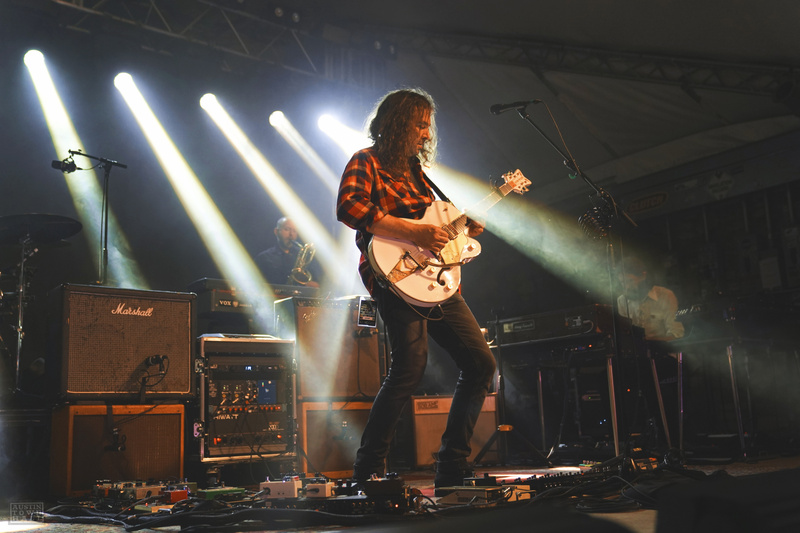 Last night at Stubb’s was a night for a little hillbilly-esque rock and roll, as Philidelphia’s The War on Drugs made their way to Austin once again to play the hits off their stunning release, Lost In The Dream, which came out to great praise earlier this year. A fair number of folks eventually turned up for this Sunday night show, albeit, mostly after the opening band, Califone, were halfway through their set. Read more about how the night unfolded after the jump. 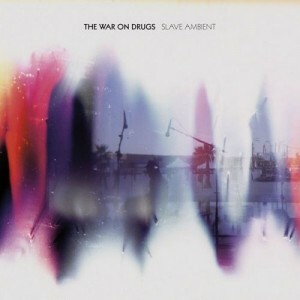 Slave Ambient, the 2011 sophomore record by The War on Drugs pushed the group to new heights, and was marvelously well received, turning out to be exactly what a sophomore album should, despite several changes in band members. Lost in the Dream looks to be a further push down the line of progress for Adam Granduciel and company, the result of which is a cinematic, sweeping rock narrative, that will do more than make you jam along. The album begins with “Under the Pressure,” a grower of an opener that chips its way, shyly at first, into your heart. At close to a nine minute long song, it comes across as a small folky rock star version of an opera, with its Dylanesque lyrical wanderings, sharp guitar meandering and ultimate reprise of the piano as well as Granduciel’s repetition of the title of the song. With each repeat, it seems like Granduciel tacks on more and more lyrics to come back around to the beginning of the circle, and you’ll follow him, knowing that it will come back again with a slightly different, more intense finish. It’s a sweepingly beautiful track, with nuances and special twists and turns to stumble into. 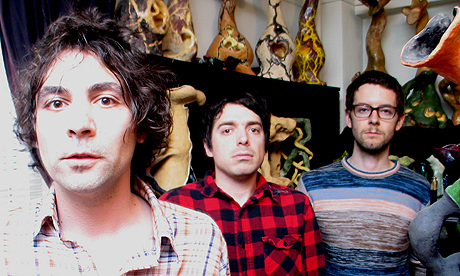 It is apparent now that when this band sets out to make an album, they don’t do so haphazardly or short-winded. As with the prior release, Lost in the Dream is sprawling, with songs that seem to stretch on into the horizon and gradually fade away into an ethereal dissipation. Each track is crafted artfully—a careful balance of delicate and harsh elements over sets of long tracks. Usually this is a plus for the band, adding to their grand style and overall transcendental transportation, but this album carries on superfluously somewhat towards its final stretch, ultimately taking you out of that atmosphere if you’re not completely on board. This is my only complaint thus far in my listening experience with Lost in the Dream, and it is still a fairly small one. 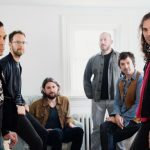 The War on Drugs have created yet another album of epic proportion for you to devour and spin all week, all year, and perhaps till the next album from these gentlemen. If you’re new to the group, this is a great place to start, but it seems that every work from this band is just that. 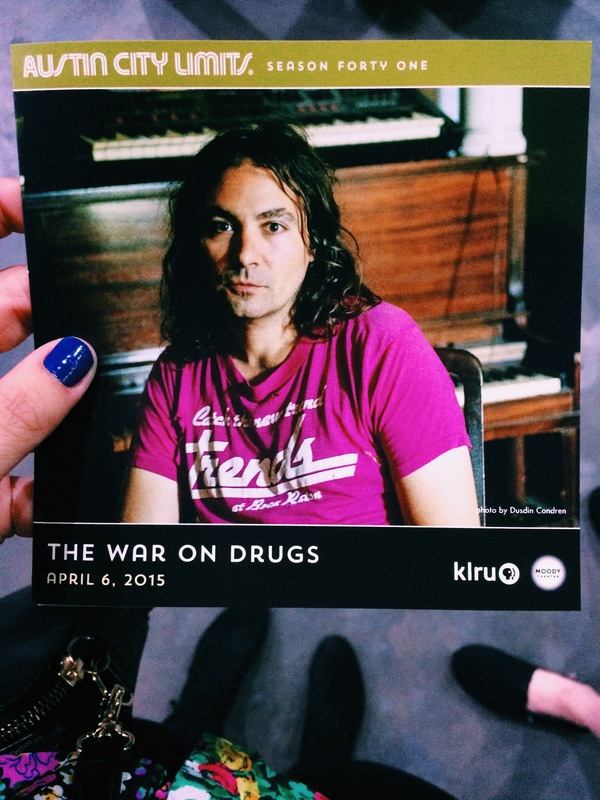 We’ve long appreciated the work of Adam Granduciel and his project War on Drugs. His last effort, Slave Ambient, came out in 2011, and he’s definitely grown from album to album, so his upcoming release will surely show the next step. When listening to this first single, I can sort of hear bits of Arcade Fire in the way the vocals are recorded, but I definitely appreciate his guitar playing here. Secretly Canadian will be releasing his new effort, Lost in the Dream, on March18th, so be prepared for another solid release from Adam and his band. While some may say to ‘never judge a book by its cover,’ I will forever judge an album by its artwork, or at least base my idea of what the band behind the cover art would possibly sound like. Sometimes, this theory proves faulty and none of the visual clues match up with the sound. 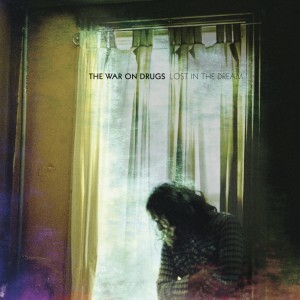 Others, however, like with this release, fit perfectly; the ethereal pinks and purples mixed with the overall fuzziness match the lush waves of guitars and hazy pop/rock sounds of The War On Drugs. The first track, “Best Night,” is one that should blow you away, as it did to me. Upon listening the first time, I was pleased with it, but after repeated listens, it began to grow to something much more. Soft, muted drums echo demurely in the background, easing into the meandering guitar parts until the scraggly vocals of Adam Granduciel chime in and you’re instantly hooked. Steady guitars feel confident and omnipresent, creating a flowing wall of background sound that is always buzzing in your ears. It’s a killer track to begin with, but then The War on Drugs throws in some extra minute details that just sets this above most common tracks; there’s something about the way the guitar part matches the little stretch out of a word that has me swooning over this track. To top it all off, the song transitions to the next with a sensational instrumental groove that is sure to have you grooving along with each riff. Even though the first track is a big deal in itself, the rest of the album is nothing to turn your nose up at. There isn’t a song that you’ll want to skip, and there are certainly more to treasure than just “Best Night.” “Come to the City” is a four minute and thirty second drum-driven party number, complete with buzzy guitar break. “Blackwater,“ the ending track, loses the drums for the most part, and takes a leaf out of the acoustic book, allowing you to appreciate the strength in such a powerful voice. Unifying all these great numbers is some stellar songwriting and the thematic waves of serenity. When comparing this band to others, names like Bob Dylan and Springsteen tend to crop up, leaving big shoes to fill. However, it seems like this band has taken comparisons like these in their stride and not looking back. 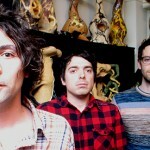 While this may not be a revolutionary album, filled with a dramatic and entirely unique sound, Slave Ambient is still a constant and confident effort from The War On Drugs.